Nurse Keith's Digital Doorway: Nurse Keith's LinkedIn Roundup! A great place to begin regarding my LinkedIn content is episode #5 of The Nurse Keith Show. 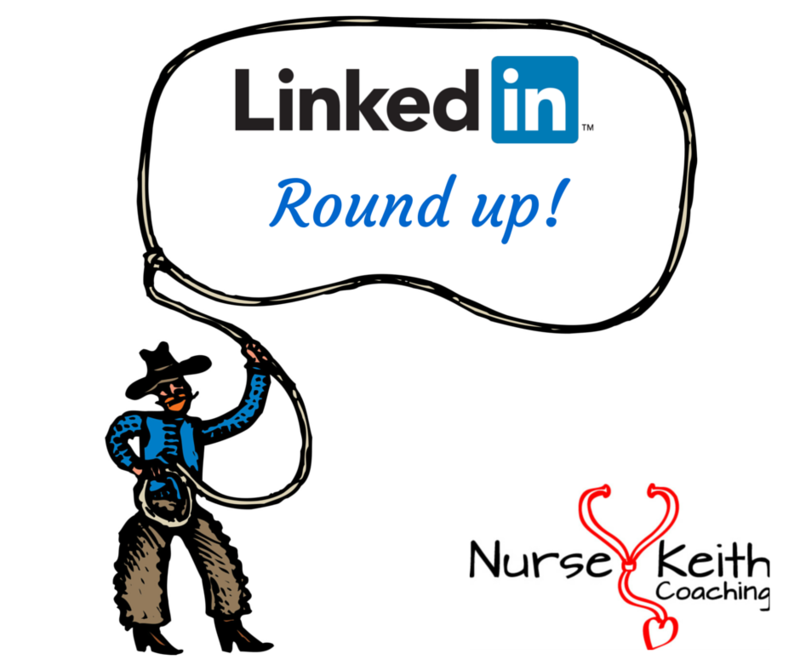 This will give you my basic take on LinkedIn, and you get to hear me rhapsodizing about why I love LinkedIn so much, and why it's so important for professional nurses to use it for career building and networking. 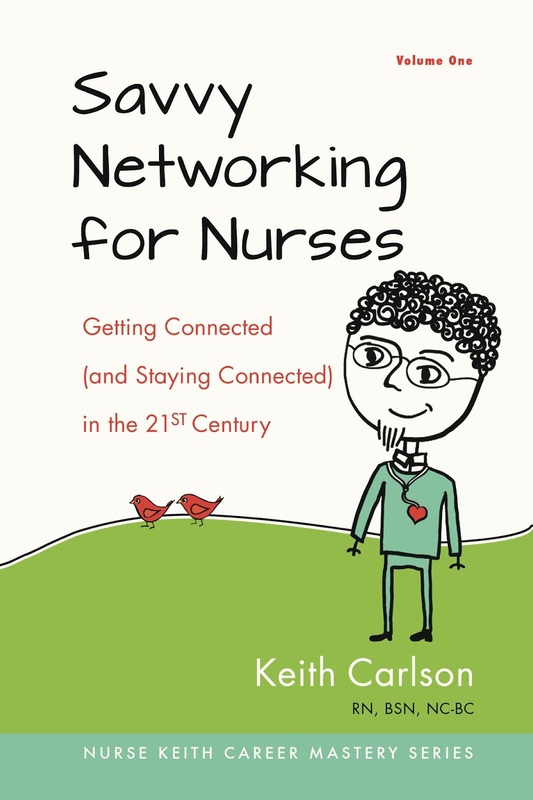 Meanwhile, my book, "Savvy Networking For Nurses: Getting Connected and Staying Connected in the 21st Century," is a great place to find a chapter on LinkedIn and online networking, not to mention chapters on personal branding and face-to-face networking skills. 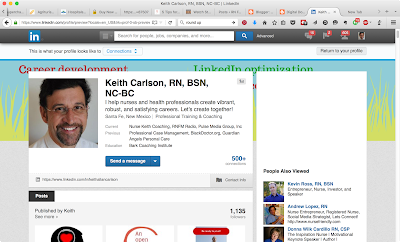 Over on NurseKeith.com, I have a page dedicated to my LinkedIn services, and how I can help you to dig into the most robust online professional networking platform around. 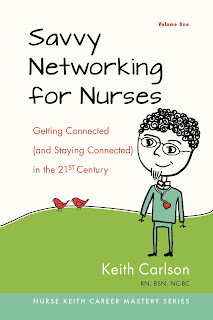 You can also sign up for my newsletter at NurseKeith.com and receive a free 13-page downloadable pdf that will walk you through the highlights of setting up and sharpening your LinkedIn profile. Anyway, I've also written articles about LinkedIn on Nurse.com and other nursing websites, but the list above is a current and comprehensive representation of my feelings and expertise regarding LinkedIn as of December, 2015. More posts and information are coming in 2016, but you can begin with this list and then expand your LinkedIn curiosity ever outward. Thanks for indulging my ongoing fascination and championing of LinkedIn as a powerful platform for building your professional network, and don't forget to visit my LinkedIn profile and send me a personalized invitation to connect! I rarely respond to generic, impersonal invitations, so be sure to write me personally and I'll get back to you and we'll get connected!